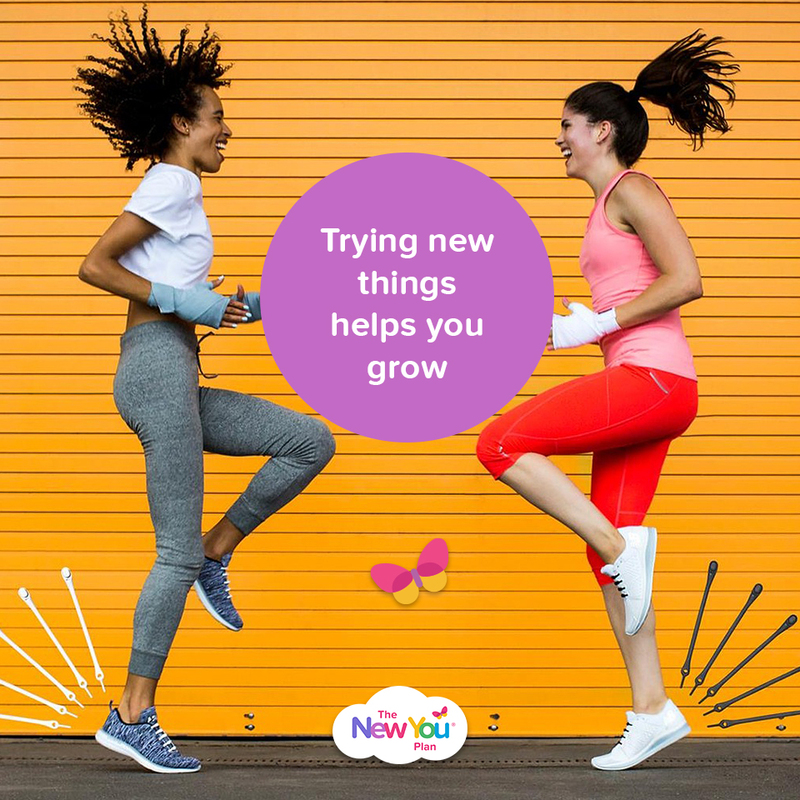 Here, we share why getting out of your comfort zone and trying something new is an important part of your New You Plan journey. There’s a lot of comfort in routine: waking up to your favourite cup of coffee every morning, shopping in the same stores and spending time with your favourite people. But just imagine that today was on repeat for the rest of your life. Doing the same thing day in, day out. How would that make you feel? We admit it. 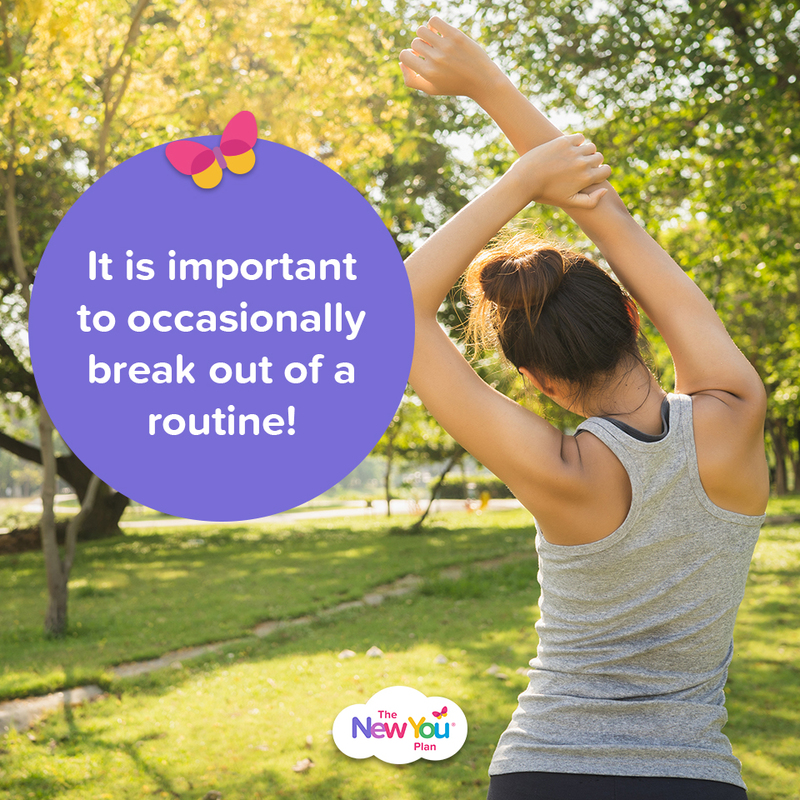 There are numerous benefits to sticking to a routine. The human brain has a need for predictability. It craves certainty to prevent the anxiety of the fight or flight response lodged in the part of our brain known as the limbic system. When our minds detect unpredictability, we tend to find it difficult to focus on other issues – and so certainty feels rewarding and comforting. It is important however to occasionally break out of a routine. Not only does trying something new have numerous health benefits, when you are creating a lifestyle change by losing weight, new behaviour scan help make the weight loss stick. For many of us, our routines revolve around food, long lunches, café meet ups and a takeaway every Saturday night. By trying new things that don’t revolve around food, you start to create new healthier routines. 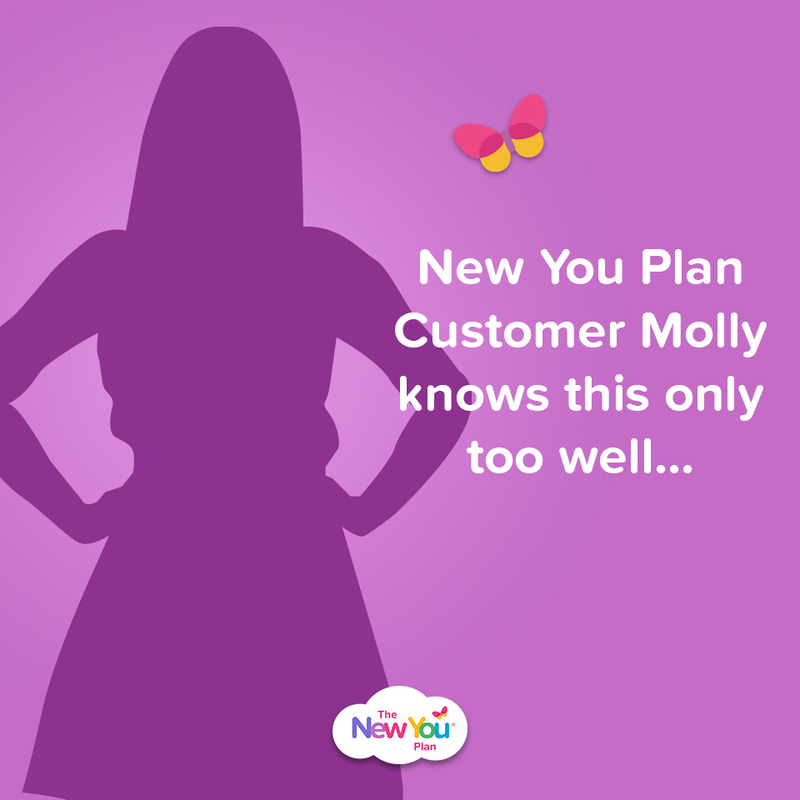 “When I started on plan, it quickly became apparent how much of my routine was focused around eating! Take weekends for example. Friday night would be a takeaway in front of Netflix, Saturday night was dinner and drinks in our local restaurant and then Sunday brunch would finish the weekend off. When we try something new it can feel raw and uncomfortable. As children we did it boldly, with ease. In fact, we were applauded loudly for making such attempts—faltering steps and crash landings were considered cause for celebration. Now though, as adults, we are so scared to fall down—to look foolish or downright stupid—that we restrain ourselves from venturing into the unknown. And we are the poorer for it. While trying something new can be scary, the key is to get a balance between predictable behaviour and spontaneity. When you try something new, several things are going on. First of all, you are creating new synaptic connections in your brain with every new activity you engage in. These connections build on each other, increasing your neural activity, creating more connections to build on other connections. Our brains do better as we increase the connectivity of our neurons and cells when we learn something new. And as we continue to learn, continue to grow our brains, we slow the process of cognitive decline, decreasing the risk of dementia. 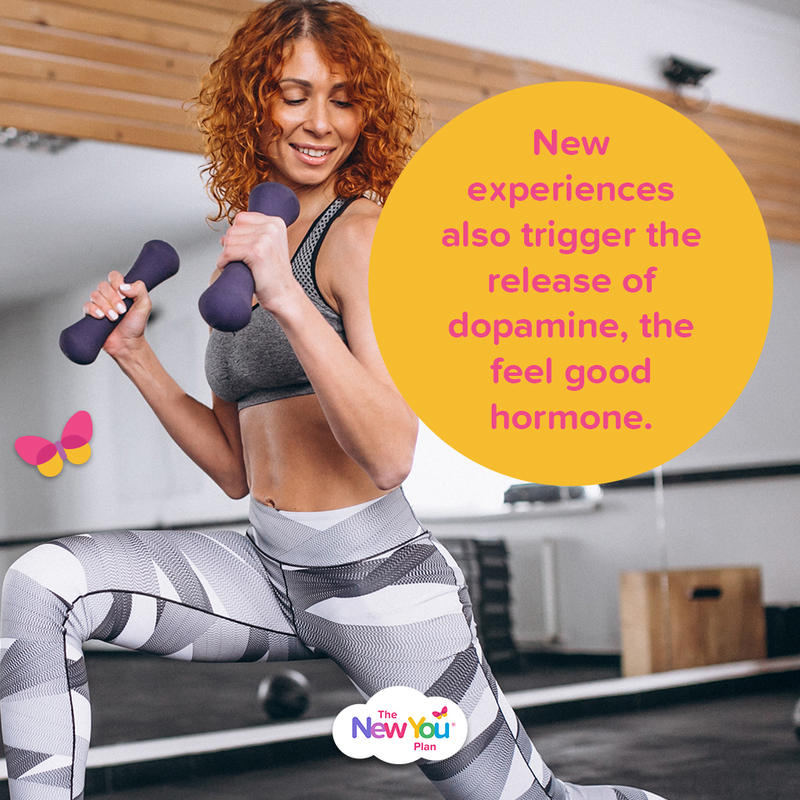 New experiences also trigger the release of dopamine, the feel good hormone, motivating us and driving us forward. Whether we base it on science or common sense, putting ourselves in a position to reflect, try new things, and continue to learn widens our perspectives and brings numerous physical benefits. Plus, it’s often just plain fun. Trying new things can be undoubtedly daunting. The unfamiliar makes us nervous in a way that’s hard to describe. The act of leaving our comfort zone puts us in a vulnerable position, and leaves us with an onslaught of questions running through our heads. We ask ourselves: “Should I be doing this? Can I do this? Do I look stupid? What am I doing! ?” While it may not feel like it, this is normal—and it’s good. All too often we let the fear of the unknown stop us. But pushing ourselves out of our comfort zones is actually good for us. 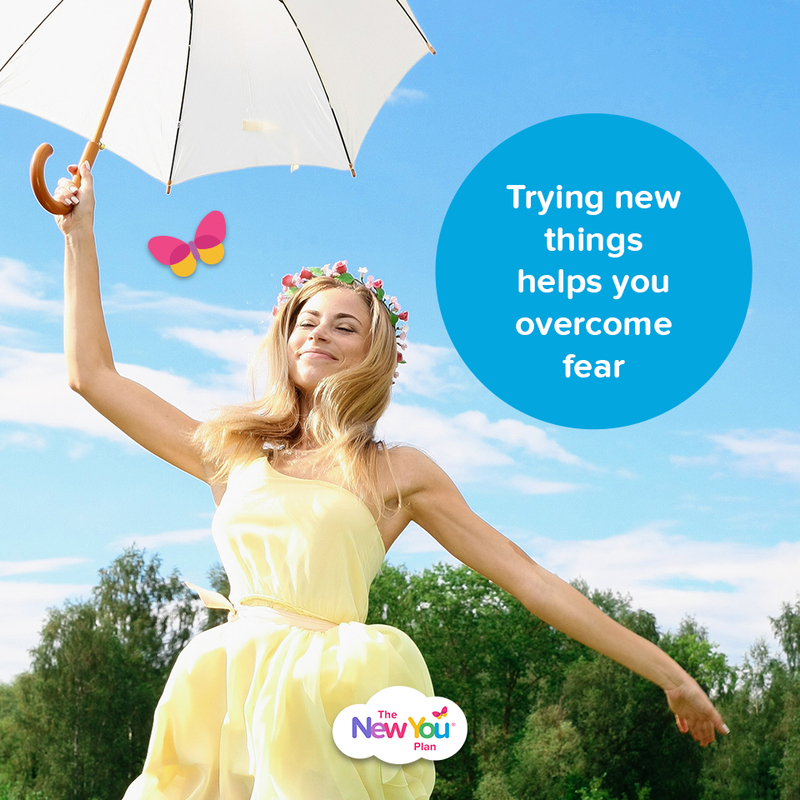 Trying new things not only helps us to vanquish those fears, but it also allows us to expand our minds and learn—both about said new thing, and about ourselves. And then there’s the rush. There’s nothing quite like—or as memorable as—the thrill of a new experience. People who engage in a variety of experiences are more likely to retain positive emotions and minimise negative ones than people who have fewer experiences. Now, we’re not saying you have to jump out of a plane or try your hand at a flying trapeze just to have a new experience… although you can if you want! You could always start with something like aerial yoga. Or learning something new that you’ve always wanted to try—like how to play an instrument could be a great (and not as scary) place to start. On top of being memorable and giving us a thrill filled with often positive emotions, there are also some real health benefits that can come from trying new things in an effort to live our lives to the fullest. In most cases, fear is the one thing that keeps us from trying new things. We’re afraid of failing, afraid of what others might think, afraid to let go. Some level of fear is always present when trying something new, but it’s about making the decision to embrace the fear and do it anyway. The more you practice moving forward and trying new things despite fear, that’s when the real magic happens! Once you jump in, it’s hard to climb back out. Once you become aware of your courage, you’ll want to keep reaching for that feeling. Trying new things can also teach you so much about yourself. It’s one of the best ways to learn what you like and what you don’t. Trying a new activity could be the thing that ignites a passion inside of you. 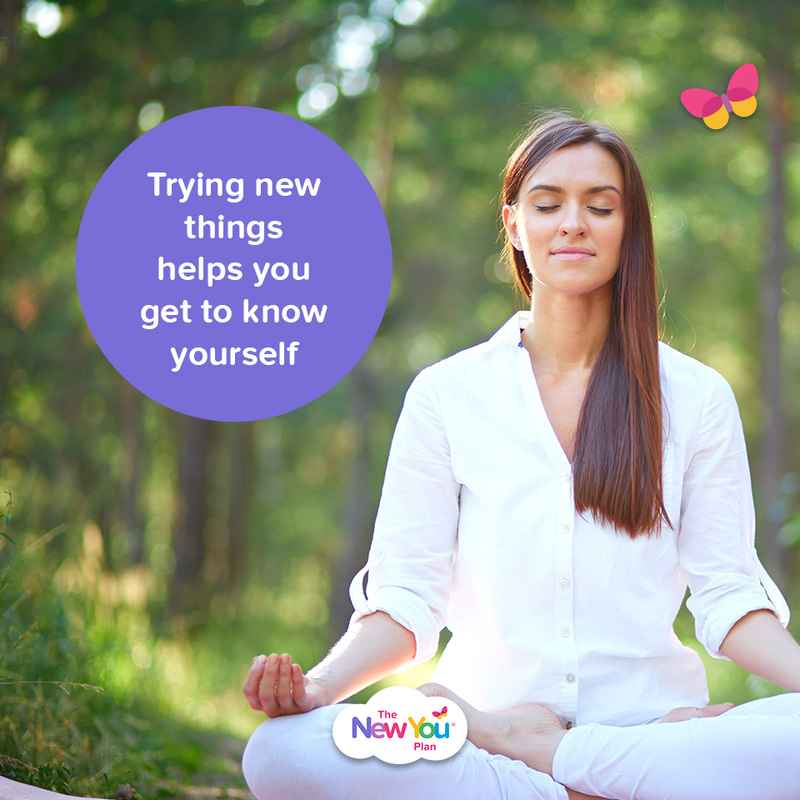 Getting to know ourselves better is such a wonderful gift and when we try new things we realise we have unique likes and dislikes that were previously unknown. This also helps us realise who we want to become. As humans, one of our natural desires is to grow and we can’t grow when we repeat the same activities and habits. Growth happens when we take new action and challenge our current thought process and beliefs. 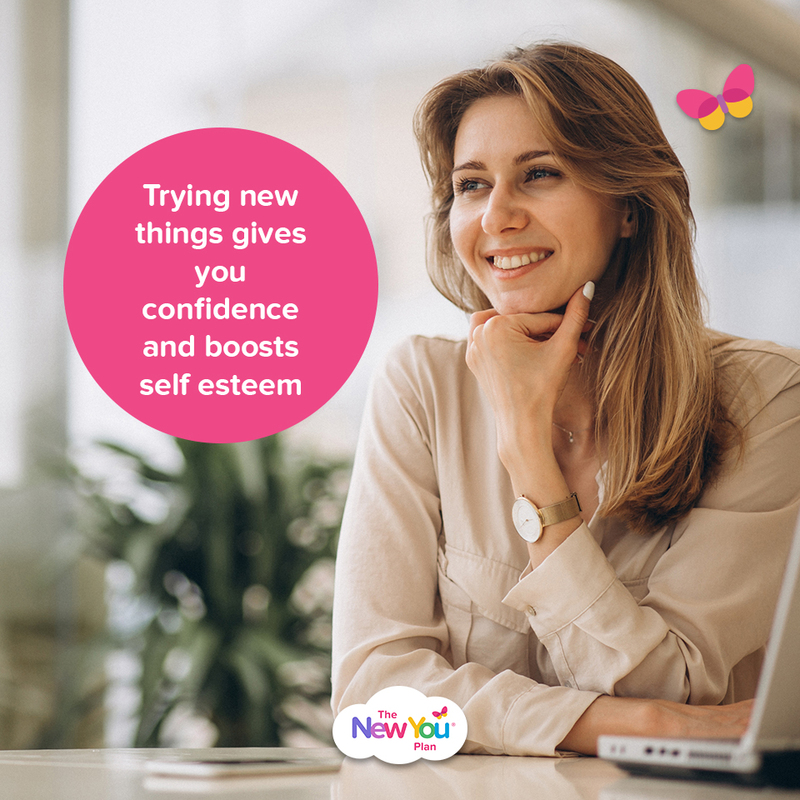 Showing yourself that you have what it takes will give you confidence to keep trying new things. After you try something new, you’ll feel amazed at what you are actually capable of doing. It reminds you that when you set your mind to something, you can do anything. The confidence you get from trying something new will stay with you all day, and it might get you to think, ”What else am I capable of?” It’s an amazing feeling to see the potential you’ve had all along. Are you ready to get out there and try something new? What is that new thing going to be? What excites you, or perhaps what intimidates you a little? What looks fun? What have you always wanted to try, but have been too afraid to try? We can’t wait to hear about your ideas. 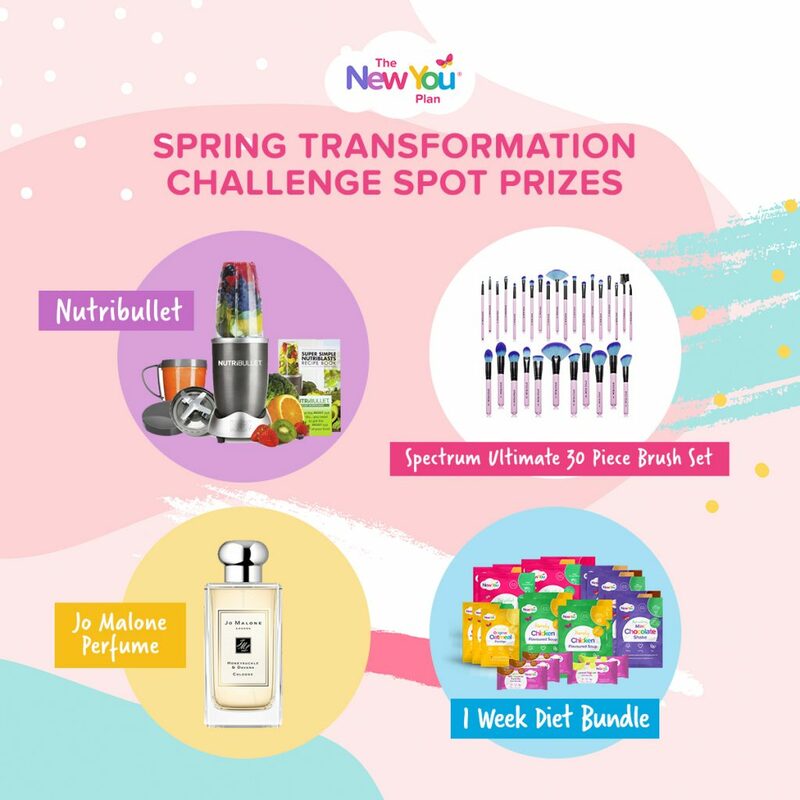 We’ve kickstarted the new week by launching task 5 of our Spring Transformation Challenge. Every 2 months you should plan to do something new! That doesn’t need to cost a lot of money. This keeps life interesting and exciting and helps you to create special moments with your family. This week, we want you to name 3 things you can do this spring and summer locally that you have never done and always wanted to do. Think healthy, outdoor, fun activities. 7. Take part in a charity race. 9. Swim in the sea. My struggle with food continues on but new you food tastes so darn good! Thank you so much for your amazing poem, we think this is worthy of publication on our blog and we have entered this into our competition. Keep your mindset strong and you will reach your goals.